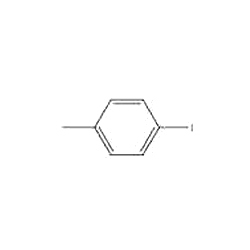 We bring forth to our clients a wide assortment of P-Iodotoluene (or) 4-Iodotoluene which is formulated as per the international industry standards. Further, our quality analysts assure the purity and effectiveness by testing these on well defined parameters. To ensure the optimum hygiene, we provide these chemicals in tamper free packaging. Apart from this, our entire range of chemicals are known for attributes like accurate composition, longer shelf life and purity.